It's holiday-wear time! Yesterday we had family photos, tonight is Blake's work party, and tomorrow is a friend Christmas party...so holiday outfits are front and center and definitely on my mind right now! This outfit was yesterday's family picture outfit, but I love the look for parties too. 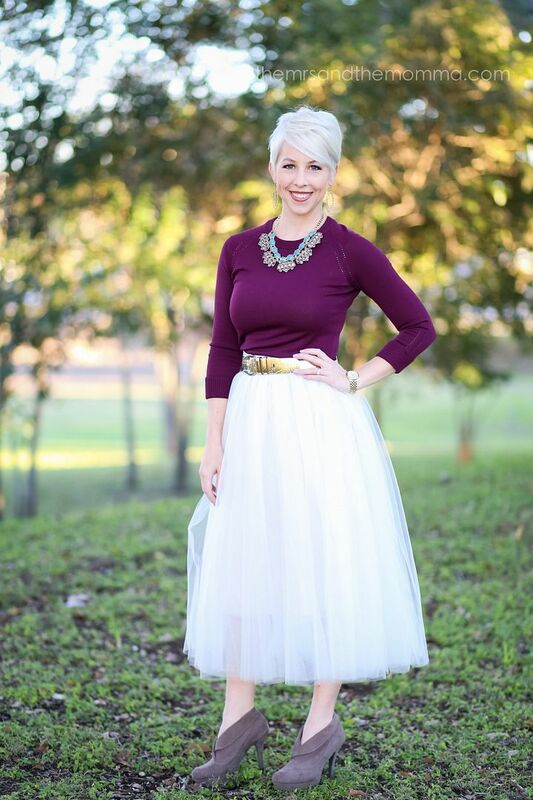 Tulle skirts can be worn all sorts of ways, but my favorite way to wear it is dressed up for a festive affair. Something about a frilly skirt exudes femininity and style. I feel every woman can rock a tulle skirt and so they should! 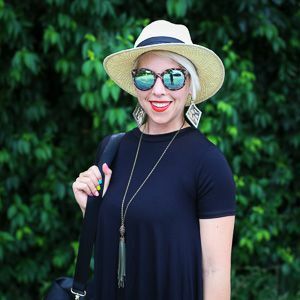 ;) Black and cream are the safest and most versatile options, but some of the pastels are super fun too!